For this post, I will revisit the statistic/measure I used in my Matt Holliday post back in September—$/WAR. However, I will be applying it to teams instead of just individual players. If you have not already read my Holliday post, the link is provided above, but I will explain the premise behind the statistic here anyway. In short, a team pays a player to provide wins above what a replacement-level player will provide to the team. Thus, how much does each team pay for the WAR provided by its players on their payroll? Basically, a lower $/WAR is desired because it means that the team is getting the most out of their players at the right price and in other words, they are paying less per win above replacement. 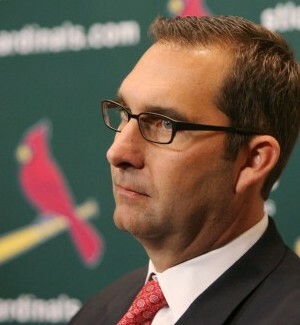 Well, John Mozeliak is pretty darn good at what he does, but upon further review, how does he compare to some of the other general managers around the league? If I had more time, I would have compared the Cardinals to every single team, but unfortunately, as a student, I do not. Thus, I compared the Cardinals to the Red Sox, Dodgers, Angels, Rays, Athletics, and the Nationals. I picked the Red Sox since they are the World Series Champions, and I wanted to see how the Cardinals stacked up against them. I picked the Angels because I think their General Manager, Jerry Dipoto, makes some really silly moves. I picked the Dodgers because they have the highest payroll in baseball, and then I picked the last three at the request of some of my followers on Twitter. Sounds like a lot doesn’t it? $2.88 million spent to get one win above replacement? To be honest, I thought so too. As you can see, the Cardinals did pretty well. They were fourth on the list, but this list included low-payroll teams like the Rays and the Athletics, so they obviously faced some stiff competition. Teams with lower payrolls have a better chance at having a lower $/WAR than teams with higher payrolls as long as their players produce solid WAR’s. Both the Athletics and Rays prove this by having such a low $/WAR and the fact that both made the playoffs in 2013. It’s pretty fitting that the Red Sox were more “cost-effective” than the Cardinals despite having almost $35 million more on their payroll. After all, they did beat the Cardinals in the World Series, so they had to be pretty cost-effective in 2013, especially compared to their flawed 2012 roster. The Dodgers made the NLCS in 2013, which can be considered a very successful season. However, it took them $5.23 million per win above replacement. This is nearly four times as much as it cost both the Rays and the Athletics, and over 2 million more per WAR than Mozeliak and the Cardinals. Despite having the 6th highest payroll in baseball, the Angels finished six games under five hundred and 18 games back from the American League West Champion Athletics. Why? Because Jerry Dipoto has made some questionable signings in his career with the Angels. In 2013, he paid Joe Blanton $6.5 million for -0.4 WAR and Jered Weaver $16.2 million for 2.4 WAR. For perspective, Lance Lynn made just $513,000 in 2013 while providing 3.3 WAR for the Cardinals. Josh Hamilton made $17.4 million and only had a 1.9 WAR. Finally, Albert Pujols made $16 million and only had a 0.7 WAR. Enough with the discussion of other teams, this is a Cardinal blog after all. Let’s take a closer look at the Cardinals. In 2013, the Cardinals best value came from the infield. They only paid $1.62 million per WAR, and this includes Furcal’s $7.5 million that contributed 0 WAR. Without Furcal, the Cardinals’ infield would have cost an incredible $882,000 per WAR–largely due to Matt Carpenter‘s breakout season. How about the pitchers? They cost $3.26 million per WAR. Take Jason Motte‘s $4.5 million and Chris Carpenter‘s $10.5 million out of the equation, they would have cost only $2.37 million per WAR. The catchers? $2.94 million per WAR. Though Yadier Molina had a 5.6 WAR, the backups both had negative WAR’s, Tony Cruz at -0.2 and Rob Johnson at -0.3. Finally, the outfielders. With two big-money contracts in Matt Holliday and Carlos Beltran, one would expect this to be the highest $/WAR on the team, and it was, but because of how good Holliday and Beltran were, it wasn’t by much. The outfield cost the Cardinals $3.42 million per WAR. The least cost-effective position for the Cardinals last season was the outfield. This will likely change in 2013 with high-priced Beltran leaving via free agency. Peter Bourjos will receive just over the league minimum at $512,500, Jon Jay will make a little over $3 million, and Allen Craig is set to make $2.75 million. I wouldn’t be surprised if the outfield is the most cost-effective position for the Cardinals next season–especially if Oscar Taveras is finally able to make an impact with the big league club. With Jhonny Peralta set to make $13 million and the likelihood of Matt Carpenter not performing quite as well as he did in 2013, I expect the infield to be slightly less “cost-effective” next season. There you have it, a pretty in-depth breakdown of teams’ payrolls and the subsequent value that their players provide. Don’t get me wrong, Mozeliak is a terrific GM, one of the best in the business, but I hope this post showed, via statistical data, how good some other GMs are as well–namely Billy Beane (of the A’s) and Andrew Friedman (of the Rays). I really hope you enjoyed this piece because it took quite some time to produce. If you know of other Cardinal fans that may be interested in this piece, feel free to share it with them! WAR statistics were retrieved from Fangraphs.com and the payroll numbers came from Baseball Prospectus. Please give or take 5% on some of my calculations due to the complexity and variation amongst some of the data. Without further ado, here is my ballot. I provided reasoning where I saw fit. 1) Cardinal Position Player of the Year: Yadier Molina. In my humble opinion, Molina was the National League MVP, so it is only fitting for him to get this award. The Cardinals would not have been nearly as successful this season without Yadi’s performance behind the plate, at the plate, and in the clubhouse. Pretty easy pick here. Waino is the ace of the staff, and he performed this way the majority of the season. Fresh off a new long-term contract, he proved his value this season. As you all know, I love pitching, and this was one of the best pitching performances I have ever seen in my 23 years of living. I’ve always loved Carpenter’s swing, but I never expected him to explode like he did this season. It was a pleasant surprise, and it could not have happened to a better person. Pete Kozma was a candidate for this award, but in my opinion, he does not deserve it. The Cardinals expected far too much from him. He wasn’t a proven hitter when they drafted him and never really hit well in the minors. He made the team because of his defense which was above-average all season. Freese on the other hand? Really disappointing. I am a big fan of his, but his 2013 performance was very underwhelming, and I am putting that mildly. His performance in October speaks for itself. I really hope Taveras lives up to the hype. 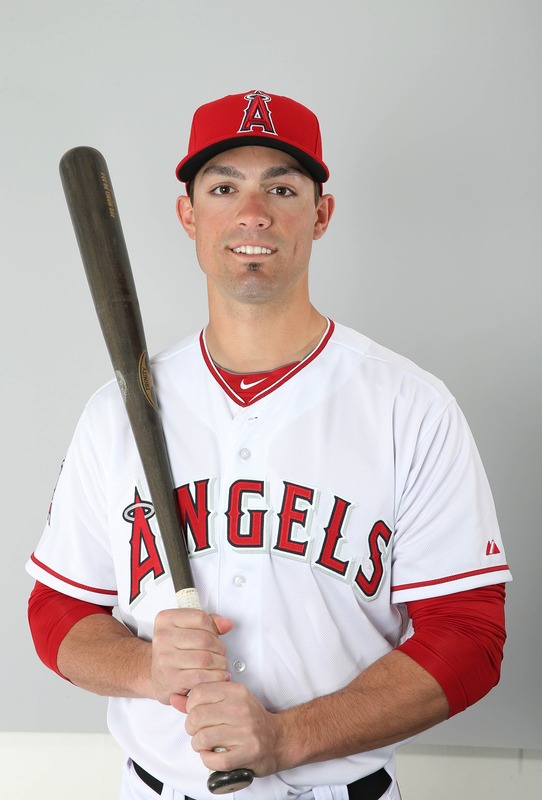 I think he is the most anticipated Cardinal position player since Colby Rasmus, and we all know how that turned out. Let’s hope for an injury-free 2014 because the sky really is the limit for this young outfielder. I enjoyed reading his series previews and game previews almost daily all season. He put in an incredible amount of work and is a terrific writer. He is also the main reason I joined United Cardinal Bloggers this season. 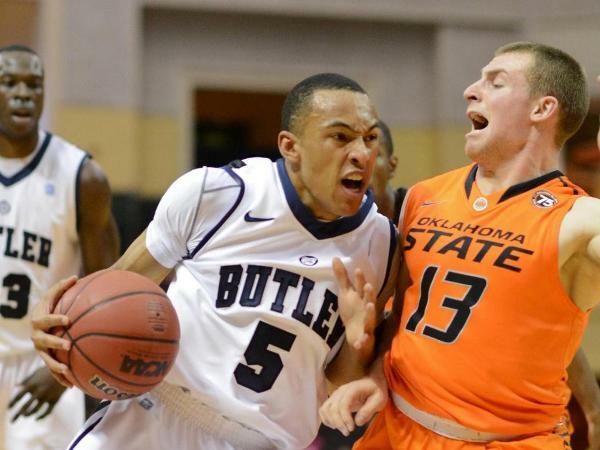 Give him the access that Derrick Goold or Jenifer Langosch has, and he could be great. They have a wide variety of content over at Redbird Rants, and I enjoy the fact that they take some risks with their writing. Everyone enjoys a good game report, but just about every news source provides one of those. The Redbird Rants staff goes beyond that, and that’s why I have enjoyed following them all season. Though he is sometimes sarcastic with his responses on Twitter, he is the most available/responsive of any of the media members. That deserves a lot of respect because no one says they have to respond to our questions. Also, his stance for supporting Molina for MVP catapulted him above and beyond the rest of the media members. The amount of work John puts forth is incredible. He has to keep up with all of the farm teams, yet is able to produce farm reports almost every night. I love keeping track of prospects including writing some on my own, so his blog is an invaluable resource for me. This is my favorite post of my early blogging career. I carefully read every single post in contention, and I know it may be frowned upon, but I ended up choosing my own. I thought out of the box and created my own statistic/measure to use as the main premise of the post, “$ / WAR.” Coincidentally, just a few days later, Baseball Reference published a post in which they implemented a similar statistic to it, so that was a pretty cool feeling to have that a reputable source like them thought along the same lines as me. As I stated earlier, I love writing about prospects, so this one had an unfair advantage. It was a dead-heat between @RetroSimba and @CardinalTales, but I gave the slight edge to Mark here. Both are obvious must-follows for all Cardinal fans. PS, with my school’s Thanksgiving Break starting tomorrow, be on the lookout for some more 2014 MLB Draft preview posts as well as some other posts if any trades are made during that time. On Sunday, I brought you a list of five prospects to watch for the 2014 MLB Draft. Today, I am providing you with another list of draft prospects to watch along with brief analysis, highlight videos, and the possibility of them being available for one of the two Cardinals first round picks. Can you tell I am missing baseball or what? Also, as most of you know, I love writing about prospects, and I figured the MLB off-season and before the start of the NCAA season would be a perfect time to throw out some names for you all to keep track of throughout the 2014 season. Though I am almost 100% sure he will not be available by the time the Cardinals pick, I still decided to break him down. He is in the top five of the draft when it comes to speed, but some scouts, including ESPN’s Keith Law, have their doubts about his ability with the bat. Despite the doubts, he hit .368 with 7 home runs, 42 RBI and was 30 for 36 on stolen bases last season for the Wolf Pack. At 6’2″, 170 pounds, especially with a professional training staff, he has room to grow and add bulk which will help add power to his bat in the future. He has top-of-the-order, game-changing speed which equates to stolen bases on the base paths and above-average range in the field. If other teams doubt the projectability of his bat at the professional level and skip on him, the Cardinals would be ecstatic to snag him with their late first round pick. This is wishful thinking, though. I have seen some mock drafts having him go as high as second overall, while some have him dropping back into the 20th-25th overall pick range. Yet, he really would look great with the “Birds on the Bat” across his chest. In short, Nola’s numbers for LSU in 2013 were absolutely ridiculous. In 17 starts, he had 126 innings pitched–good for a little over seven and one/third innings per start. His control was impeccable walking just 18 batters while striking out 122, giving him an impressive strikeout-to-walk ratio of 6.78. At 6’1″, 183 pounds, Nola doesn’t have that towering pitcher build that scouts rave about, but as you can see by the numbers, he doesn’t really need it. He makes up for it by employing a somewhat deceptive three-quarters motion to provide exception movement on three above-average pitches. His go-to is his sinker which touches 94 MPH with both downward and tailing movement. He also has a plus changeup that mimics the movement of his fastball. Finally, he has an above-average 11-5 breaking ball which is resembles a slurve more than just a curveball or slider. Baseball America has him 10th in their latest 2014 draft rankings, so he, like Turner, will likely be unavailable by the time the Cardinals pick. 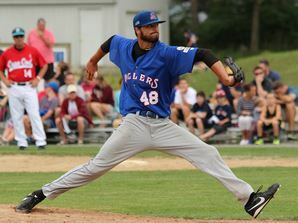 However, if interested here is a video of him pitching in the Cape Cod League in 2012. His deceptive whipping motion is on full display in the video. In my opinion, he has the best chance of any pitching prospect to make a Michael Wacha-like rise through a team’s farm system. Let’s hope he doesn’t end up in the National League Central. After pitching his first two post-high school seasons at the JUCO level, Schiraldi is now a member of the Texas Longhorns. Because he was at the JUCO level, he flew under the radar a little bit. This, however, is no longer the case due to his 2013 Cape Cod League performance. He was given the BFC Whitehouse Outstanding Pitcher Award after he led the league with a 1.20 ERA. He had 27 strikeouts in 37.2 regular-season innings. Also, in his one playoff start in Cape Cod, he threw six shutout innings. At 6’4″, 197 pounds, he could add a little bulk to his frame, but his height is what is desired in a pitching prospect. Baseball America has him ranked 47th–noting his “plus fastball and solid secondary repertoire.” His fastball touches 95 MPH, and his changeup is already big-league ready. As he develops his breaking ball at UT, he will be one of the top pitching prospects out there. One of my favorite parts about him is his laid-back, goofy personality which can be seen in this 2.5 minute interview after his first start at Cape Cod. 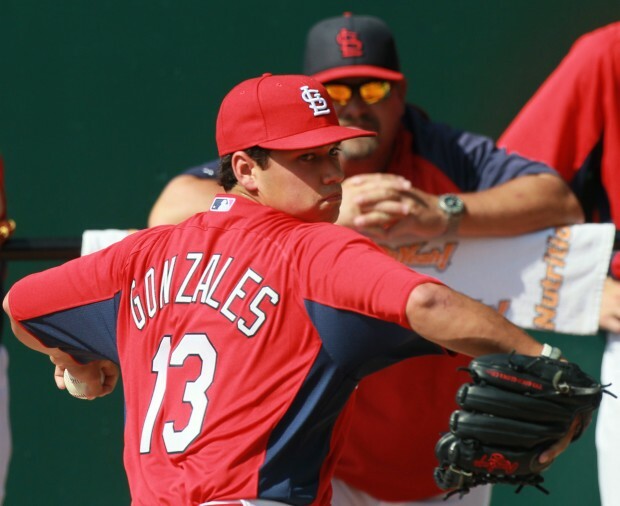 Give him time, and he could be the next Adam Wainwright–both on the mound and in the dugout/clubhouse. Based on his spring performance with Texas, he very well could be available for the Cardinals late in the first round, and I would be ecstatic if they were to pick him up. However, now that he plays for a perennial baseball powerhouse, Texas, scouts won’t be able to overlook him. I could see him flying up the draft board as the season rolls along. First off, look at his last name. Does it get much better than that? Pankake is built like a rock at 6’1″, 200 pounds and has the power to move over to third base or even a corner outfield spot if shortstop doesn’t work out for him. However, many scouts believe he has the athleticism and arm strength to stay at short-stop long-term. We will see where he plays at South Carolina this spring. Even if they move him from shortstop, scouts may still plug him back into that role once drafted. In 2013 for the Gamecocks, he hit .311 with nine doubles, 11 home runs, and 42 RBI. He is a pure hitter with a plus arm in the field, as can be shown by the fact that he can bring it mid-90s from the mound. Pankake is definitely one to keep an eye on because though Baseball American lists him at 48th on their list right now, he is likely to move up as the NCAA season progresses. If available, he, too, would look really good in Cardinal red. A shortstop that can hit? Man, that would be nice to have in St. Louis. I admit it. I took a look at this guy strictly because of his first initial and last name (J. Schwarz). However, upon further review, this 17-year-old University of Florida signee looks to have quite the potent bat with gap-to-gap power. Early reports from this summer’s East Coast Pro Showcase indicate that he has quite the arm as well–picking off two runners in a game. He was also a key performer on the Gold-medal winning 18-and-under Team USA squad at the World Cup. I am almost certain he will end up playing college ball at Florida instead of signing, but like I said, I just had to check out a guy with the same name as me. Here is a Baseball America video of Schwarz taking batting practice this summer. Well, there’s part two of my 2014 MLB Draft Preview. The first two mentioned, Turner and Nola, will likely be unavailable, but the following two could be available when the Cardinals pick. Both Schiraldi and Pankake would be excellent values late in the first round. What about Schwarz? Yeah, he will probably end up at Florida, but he does have a cool last name, though.